On the 13th of November, the European Parliament formally adopted new EU objectives for energy efficiency and the use of renewables. One step further for clean energy in Europe. By 2030, the EU aims at saving 32,5% of energy and will include 32% of renewables in its energy mix. In 2019 Member States will need to present concrete plans for achieving these goals. In practice, this means electrifying other sectors of the economy such as transport and heating but also using our energy in a much smarter way. Electricity grids and technology play an essential role in this context. Electricity transmission and distribution industry engineers design everyday a wide range of products to equip the grid for future challenges, thereby ensuring cybersecurity, preventing losses and unlocking the flexibility potential. With the right policy framework and the available technology we now need the investments to make the energy transition a practical reality. The energy transition is common effort and a joint responsibility of all stakeholders, from producers to consumers and from network operators to technology providers. “We all know the energy transition’s 3 Ds: decarbonisation, decentralisation and digitalisation” says Diederik Peereboom, T&D Europe Secretary general. “But we need a fourth D, dialogue among all stakeholders, to make it happen”. 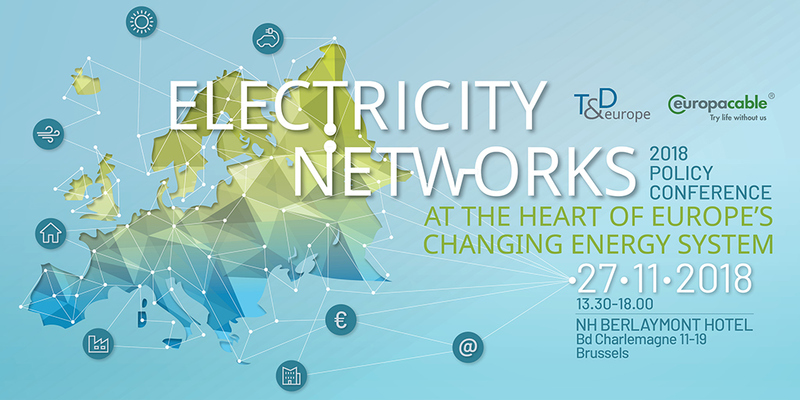 It is this dialogue we want to initiate with our partner association Europacable during our policy event on Electricity networks on the 27th of November in Brussels. Three dynamic and interactive sessions will explore the expectations, challenges and opportunities for producers, consumers, prosumers, operators, traders and policy makers. We believe that transparency on grid operation is a key part of the puzzle to prepare the infrastructure across Europe. Let’s talk openly and find solutions for the future together.